"Glad You Came" is technically the second single (officially the first) from English boy band The Wanted's yet-to-be-released sophomore album. The song was written by Steve Mac, Wayne Hector and Ed Drewett and produced by Steve Mac, the genius producer who's worked with everyone from Westlife and Kelly Clarkson to Leona Lewis and Delta Goodrem. 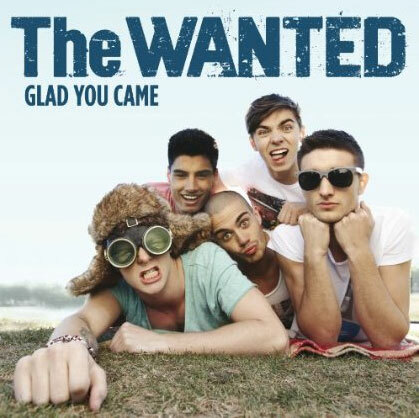 "Glad You Came" is a hands down floor filler, bringing more of a dance club sound than any of their previous singles. Remixed by Italian house DJ Alex Gaudino, the song is destined to be a hit on the UK dance charts, not to mention the singles chart. Previous single, "Gold Forever" peaked at #3 on the UK Singles chart, becoming the band's third highest charting single released so far, following "Heart Vacancy" which peaked at #2. Download "Glad You Came" on UK iTunes when it's released July 10th. Director X was at the helm of this super fun, super hot video, filmed on the Spanish island of Ibiza. The video showcases each of the boys (Max George, Siva Kaneswaran, Jay McGuiness, Tom Parker and Nathan Sykes) romancing their way across the island, dropping by the club, the beach a house party and a boat. There is plenty of shirtless action too as the boys cool off in the pool and in the warm waters of the Mediterranean Sea. It's hard to believe that The Wanted are such a new boy band, first making waves with their 2011 BRIT-nominated debut single "All Time Low," which debuted at #1 on the charts. Follow up single, "Heart Vacancy" was also a bonafied hit for the boys, proving they had staying power on the charts. While "Lose My Mind" only managed to crack the Top 20, the boys came back strong with their Comic Relief Single, "Gold Forever," taking it all the way to #3. It's too soon to tell how "Glad You Came" is going to do on the charts, but we'll find out when it's released July 10th on Geffen Records. The boys signed a U.S. record deal with Island/Def Jam so hopefully we'll be able to get our hands on this single at some point here too. In the mean time, check out the "Glad You Came" video below (U.S. readers click HERE). Love these guys! One of my FAVORITE new artists, Ms. Anita Blay (AKA CockNBullKid) has a new album out, a bunch of UK tour dates and a new single due out in August. Busy summer for CockNBullKid! Hopefully she can find some time to release her beautiful album, Adulthood, here in the States. She already hinted that it's coming, but no word just yet as to when. 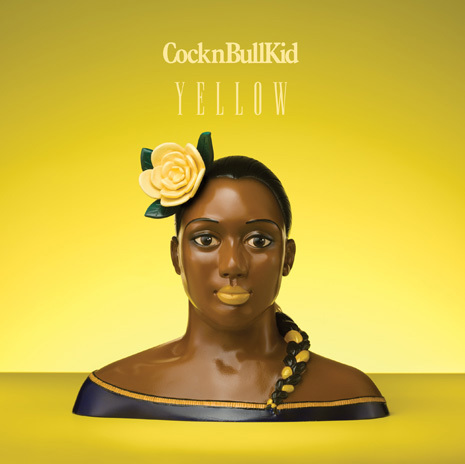 In the meantime, CockNBullKid's fourth single, "Yellow," is due out in the UK on August 8th and it's been remixed by Greenmoney, Keith & Supabeatz, and Mneksnois. If you're in the UK make sure you catch CockNBullKid on tour this summer. She'll be playing the Glastonbury Festival, Latitude Festival, Underage Festival, Field Day Festival, Leeds Festival and Reading Festival as well as a gig at The Nest in London. While she's not touring and promoting, CockNBullKid has been getting together with some of her friends and recording sick covers. Last post I linked to her performance of Plan B's "He Said" with Clare Maguire. This time, she's joined by Eliza Doolittle on a rousing cover of "Bills, Bills, Bills" by Destiny's Child. AMAZING! Check out the performance below and take a peak at CockNBullKid's tour dates while you're at it. Download her new album Adulthood on UK iTunes HERE.